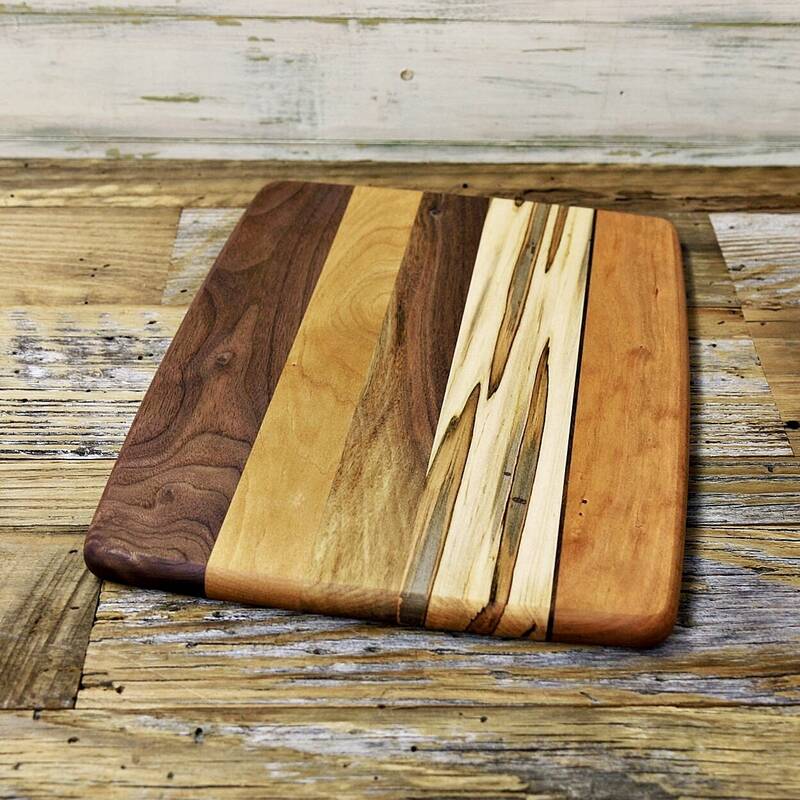 This board is slightly shorter in length than this one: https://www.etsy.com/listing/177898019/wood-cutting-board-random-layout-walnut?ref=shop_home_active_7, therefore a little less expensive. Finished with mineral oil. Re-waxed with beeswax/mineral oil at time of shipment. All holes are permanently filled. 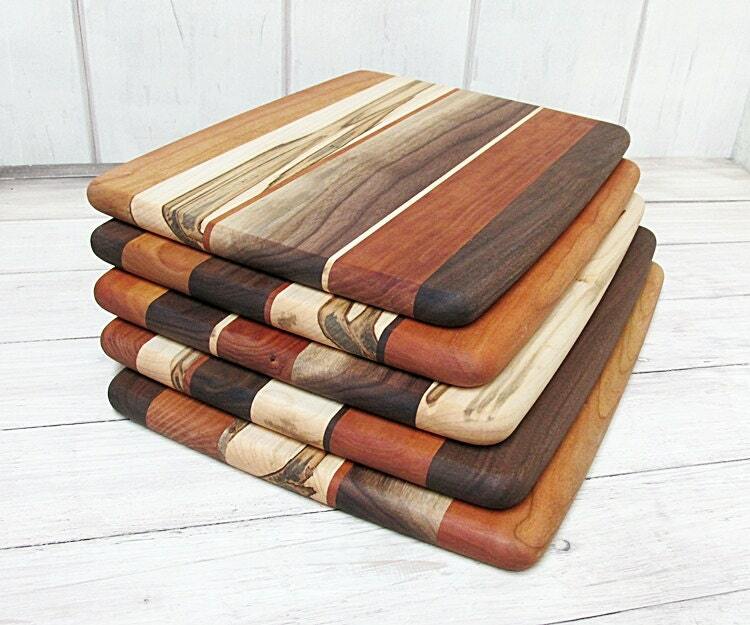 NOTE: You are purchasing a cutting board that will feature wood that has been RANDOMLY arranged. It will have a mix of cherry, walnut, and ambrosia maple woods. 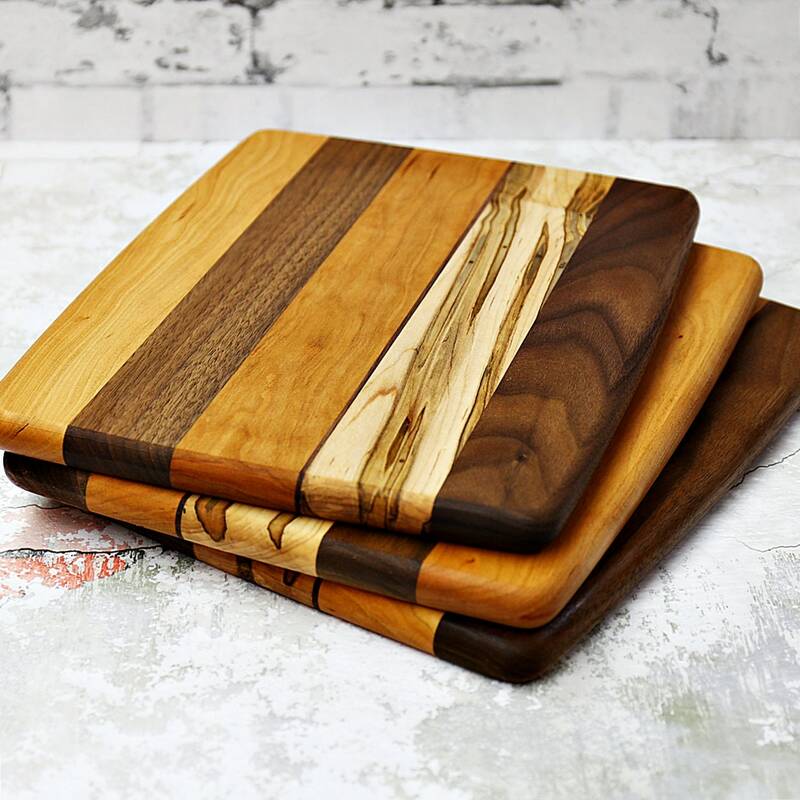 You are purchasing one that will have similarities to the boards in the photos. Color & wood layout will differ from board to board but, it will contain the three mentioned species of wood. This is the second board I purchased from this seller. Beautiful. What a beautiful board! The finish is well done and beautiful. Care instructions were included. I’m getting ready to order another one. Great craftsmanship. Beautiful work. We love it. 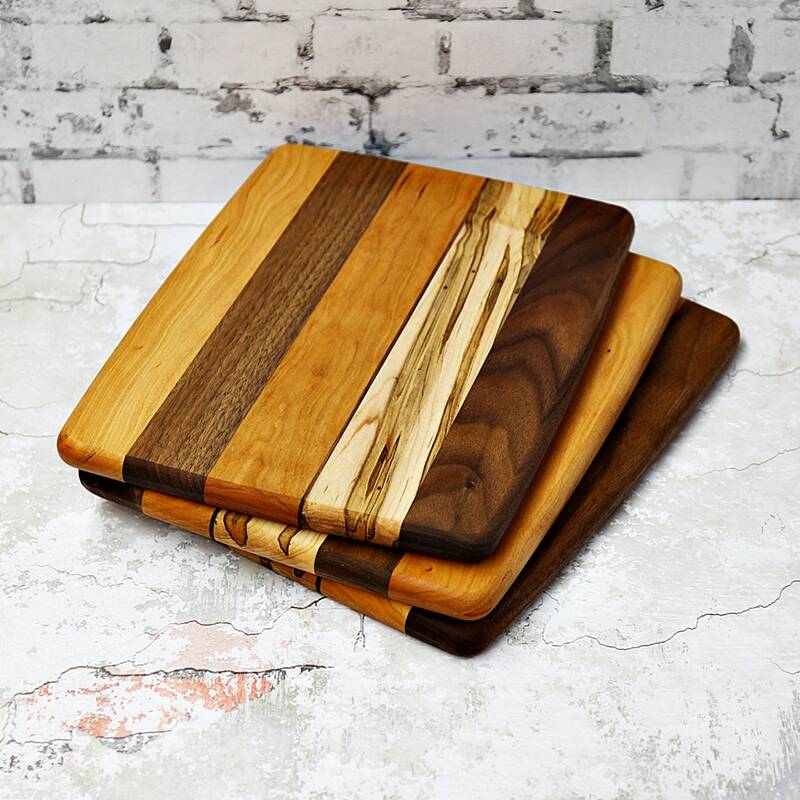 Very nice cutting board and exceptionally quick delivery. Quality and service: can't ask for more! 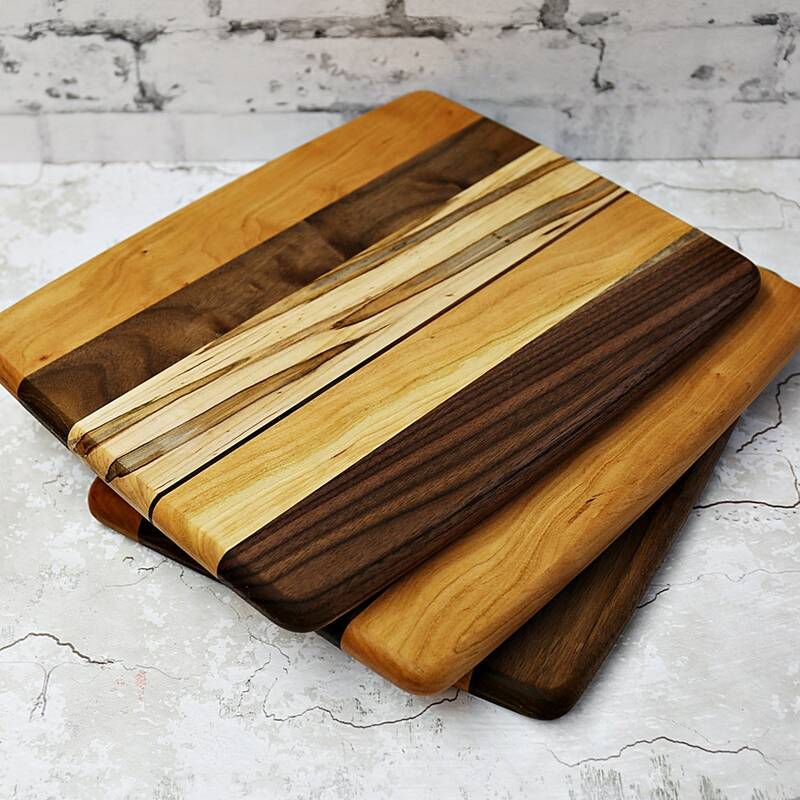 This cutting board is lovely to display when not using. The colors of the woods are pretty.